Plenty of schoolchildren dream of becoming famous singers, but when a boy on the other side of the classroom goes on to become one of the most famous rock stars in the world, you could end up feeling a little overshadowed. That is exactly what happened to Neil McCormick, who went to school with a boy called Paul Hewson - better known these days as U2's Bono. So could it be jealousy then that inspired the title of the new movie 'Killing Bono', which is based on Mr McCormick's memoirs? Filming of the story, which is set around U2's formative years in a north Dublin comprehensive school, is set to begin in Northern Ireland early next year. It tells the story from the point of view of the rather less successful rival band which Mr McCormick and his brother set up in the late 1970s. The film, which is funded by Northern Ireland Screen with help from Invest NI, will be directed by Nick Hamm. It is not the first time that the Belfast-born director has brought inspiration from his native city to the screen - his 2001 thriller 'The Hole', starring Keira Knightley, was heavily influenced by his time as a student at Belfast's Campbell College. "Killing Bono" which has been described as an "Irish music-based comedy" will feature music from Castledawson singer/songwriter Joe Echo. 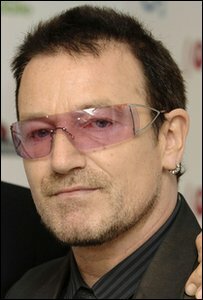 Neil McCormick, who now works as a music critic for the Daily Telegraph, published his autobiography, 'I Was Bono's Doppelganger' in 2004, which included a foreword by the singer. He said he was delighted that the film was being supported by Northern Ireland Screen and hoped that the film would be released in the summer of 2010.